COMET’s two major business areas are Semiconductor and Broadcast. 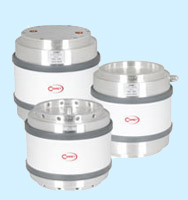 Additionally we serve also industrial, aerospace and medical application. 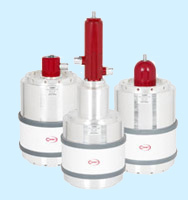 The design, construction and processing of COMET Vacuum Capacitors combined with decades of experience in precision manufacturing assure outstanding quality standards. 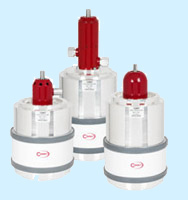 The unique modular design of the capacitors allows a high degree of flexibility in production and guarantees delivery of special types on very short notice. The superior performance and reliability of the products has been proven by hundreds of thousands of units in operation. For performance reasons all capacitors are made with ceramic envelops, which enable the capacitors to withstand higher thermal and mechanical loads than glass. 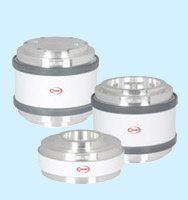 Most units fit sockets of competitive types and are electrically and mechanically compatible and interchangeable. 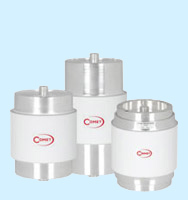 COMET Vacuum Capacitors are components which give excellent long lasting service, provided their specifications are carefully respected. Fast forward to the future. 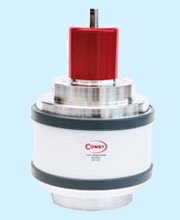 COMET Vacuum Capacitors enable the manufacturing of computer chips, flat panel displays and solar cells. 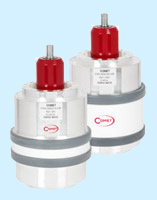 All COMET capacitors deliver high performance, combined with superior life time. 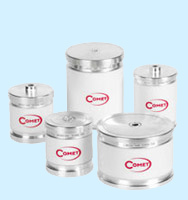 COMET has been the world wide leader in these products for the past years and is still expanding its market share. High quality coating and etching of wafers are processes in semiconductor production. They are depending on a dedicated controlled plasma generation. Vacuum capacitors allow a proper flow of energy from the generator into the plasma chamber where semiconductors or flat panels are treated. "Media & Broadcast shortwave transmission system at Nauen, Germany. Photo courtesy of Thomson Broadcast & Multimedia"
Unbelievable sound quality. 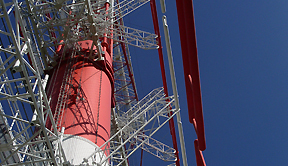 COMET Vacuum Capacitors for analog and digital broadcasting stabilize frequencies in the short and medium wave transmitters up to 500kW. 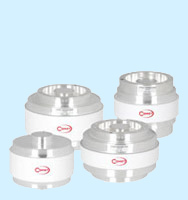 Most units fit sockets of competitive types and are electrically and mechanically compatible and interchangeable. 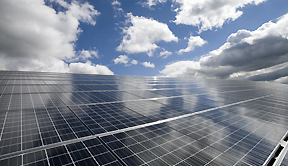 Forced Air or Water Cooling allows high current applications. 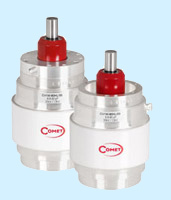 COMET’s Vacuum Capacitors have high voltage and capacitance values even for the most demanding applications.